Do you believe that food is your enemy in your battle against fat? This misconception is disrupting the diets of many people all over the world. Well, it’s idiotic to resist yourself from something you really want to eat. If you think that eating fewer food associates to weight loss, think again! Instead of cutting down foods from your meal plan, consider stacking your plate with vegetables, fruits, and nuts which have fat burning characteristics. If you are also the one having extra belly fat and want to shed it off to attain a perfect waistline, then try these nutrient-rich foods to boost your body’s fat-burning power. You are going to add all of them in your diet, right? Yes, apples have that power. They can help keep your biggest enemy “fat” away. A Chemical named pectin is found in apple and berries. It limits the quantity of fat your cells can absorb. 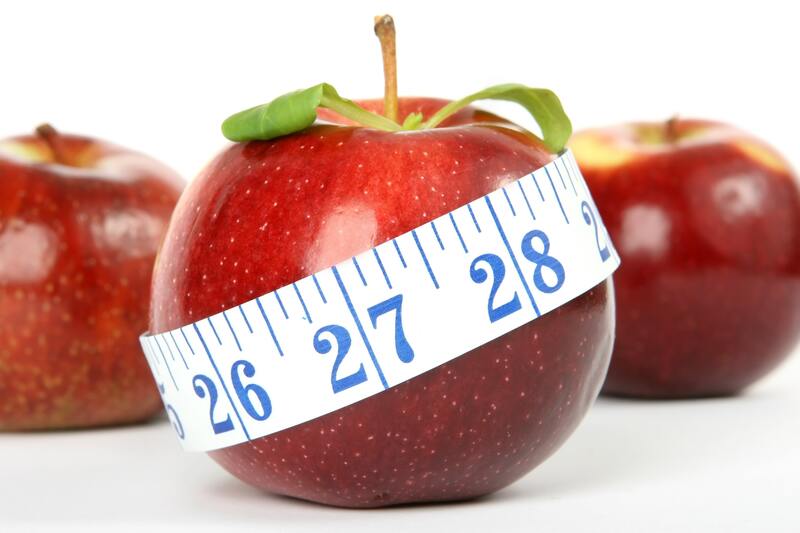 If you want to keep off the extra pounds, eat an apple (or two) daily. Several studies have found that eating an apple half an hour prior to a meal can reduce the calories of a meal. Those little flax seeds can burn the excess belly fat effectively. The pleasant, earthy and exquisitely nutty flavor of flax seeds enriched with an adequate amount of omega-3 fatty acids. It will be a perfect addition to your meal plan. Flaxseeds contain a suitable combination of the healthy fats needed for fat metabolism. They are an excellent source of metabolism buster. It also contains protein and fiber. Are you got tired of the mindless munching all day? Try almonds. They are the excellent source of curbing food cravings. Several studies showed that adding almonds to your diet can prevent weight gain and contribute to higher satisfaction. It is because high levels of fiber and protein are present in them. A handful of almonds can help you lose belly fat, reduce the waistline and fulfill your nutrient requirements. This green vegetable is full of nutrients. Green your diet plan with this fantastic leafy vegetable to shed that fat and get an hourglass figure. It is low in calories (a cup equates to about seven calories). Eat spinach as a salad with your meals or cook it and have it in your dinner. Either way, it will be healthy and reduce the belly fat. Have you got those blues? I am talking about the yummy blueberries. Catechins present in blueberries help reduce belly fat and weight. According to a research from Tufts University, catechins decrease abdominal fat by 77 percent. Who would have thought that the little red tomatoes could be a fat burner? Tomato juice helps in decreasing inflammation and reduces your fat cells. According to the study published in the British Journal of Nutrition, drinking 11oz of tomato juice for 20 days reduced systemic inflammation in obese women. Tomato juice increases adiponectin, a protein that helps reduce body fat. The fat found in avocado is actually a triple-fat burner. The monounsaturated fat present in avocado enhances the function of fat burning hormones. Moreover, it amplifies the metabolism by protecting the energy cells from free radical damage. Eat an avocado for breakfast. You can also add it to salads or make a smoothie. Fulfill your dream of having a flat belly by adding peanuts to your diet. Peanuts help stabilize blood sugar levels. They have a low glycemic index. They take time in digestion and release sugar gradually, thus providing long-lasting energy and decreased sugar cravings. The lesser the sugar cravings, the higher the chances of losing belly fat.